After reading this article from Time, about why adults shouldn’t shield children from sadness, I decided to write about why family historians owe it to future generations to document both the ups and downs of the past.Of course we love to trumpet the many success stories (like hubby’s great uncles, the famous bandmaster Slatter brothers in Canada). 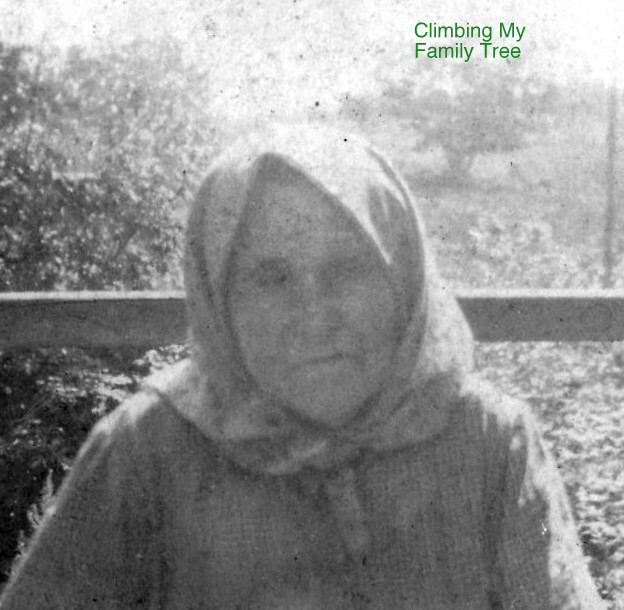 And it’s fun to tell younger relatives about the family traditions that we ourselves remember so fondly (like singing the Farkas Family Tree anthem at family meetings when I was a tot).But every family also has sorrow, struggles, and losses in its history. We may have witnessed grief following a loved one’s death or we may have learned about sad or despicable family events from relatives or newspaper articles or other sources. As genealogists, we owe it to our descendants and relatives to honestly chronicle the lives of our ancestors, both good and bad. It’s vital to show younger relatives what formed our family, let them begin to learn about the range of life experiences, and reassure them of the shared strength of our family. Research shows that children actually benefit from understanding the difficulties faced by ancestors and relatives–and come to believe they can overcome obstacles themselves. Stories are a safe way to begin the learning process, portray ancestors as real people with real lives, and put the past into context for younger folks. I’ve written about my husband’s great-grandma Mary Shehen Slatter (1837-1889), and her truly heartbreaking tale of being confined in two notorious insane asylums due to a diagnosis of being “melancholy and demented.” The cause of her insanity, according to the asylum records, was “misfortune and destitution.” She was, it seems, driven insane by poverty and despair. And her children were placed in a workhouse while she was institutionalized. BUT when I tell their story to my grandchildren, I remind them (with genuine admiration) that Mary’s children all went on to live very productive lives. Mary was the mother of the three bandmaster brothers who built brilliant careers and were pillars of their communities, as well as being good family men. If only Mary could have known! Once I found out about Mary’s sad life and death (from tuberculosis), I made it my mission to be sure her descendants are aware of the bad and the good in that branch of the family tree. Another example: In researching my mother’s family, no one ever mentioned the many relatives who stayed behind in Hungary when my grandpa Teddy Schwartz (1887-1965) left for America, bringing his brother Sam and sister Mary to New York within a few years after he arrived. All his life, Teddy kept one photo of his mother, Hani Simonowitz Schwartz (see image at top). It must have been painful for him to look back and think about his parents and other relatives he would never see again. Only through Yad Vashem did I find out that grandpa Teddy actually had many more terrible losses to mourn. I was shocked and dismayed to discover that his other siblings (and their families) were all killed in the Holocaust, his niece being the only survivor. No mention of this tragedy in the family tree minutes, no family stories passed down. In my mind, I believe the heartache of these losses was why my grandpa Teddy was so insistent that the family observe a moment of silence annually for all the relatives who had passed away in the previous year. That yearly moment of silence–initiated by Teddy and led by him year after year–were recorded regularly in the family tree minutes. Clearly, Teddy believed it was important for the family to at least acknowledge the downs as well as the ups in life. Notice that I’m putting the full stories in my files, to be passed to my heirs after I join my ancestors. The stories won’t be lost, and at some point, the historian of the next generation may judge that the time is right to say more to more people. What do you do with the negative stories you uncover in your tree? I feel that the truth should always be told, including the painful or unsavory bits as well. If I do not tell the whole truth of my ancestors’ lives, I am not remembering them as they really were. Now, in the case of the living, I do not tell their tales, good or bad. Their stories are their own to share.